Last evening....one more evening left until May. Note from admin: Please read forum policy prior to posting again. Thank you. Lots of great lookin eyes guys! Here is an eye from the northland. Caught this beauty while fishing by myself. Yes, I took the photo by myself and was in a hurry to get her back down the hole to grow bigger. Not my best photo work but an interesting picture. Hot pocket thats a pig....ripping the heddon sonar thats a collectors item! Awesome fish. How big was it?? 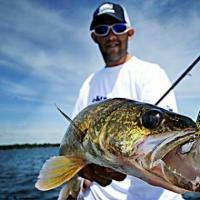 That's an interesting look'n Chubby Darter ya gots there Matt? 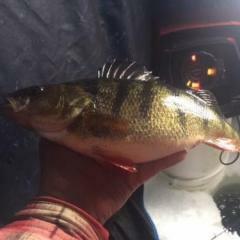 first walleye for me of the year 17"
Heres some South Dakota eyeballs from the 2009 ice season! Looks like a good ice season. I'm not someone that usually swirls out the background but it if I didn't it would be easy to tell where I was. You can see some in my avitar. Fat 26" full of eggs! CPR of course! Nice fish carpmanjake, Never know what youll get when you go out! i dont know if this will work i usually dont post pics, but here's a 26inch 6lb 8oz that i caught fishing with my father this past weekend. Hit a jig and minnow.